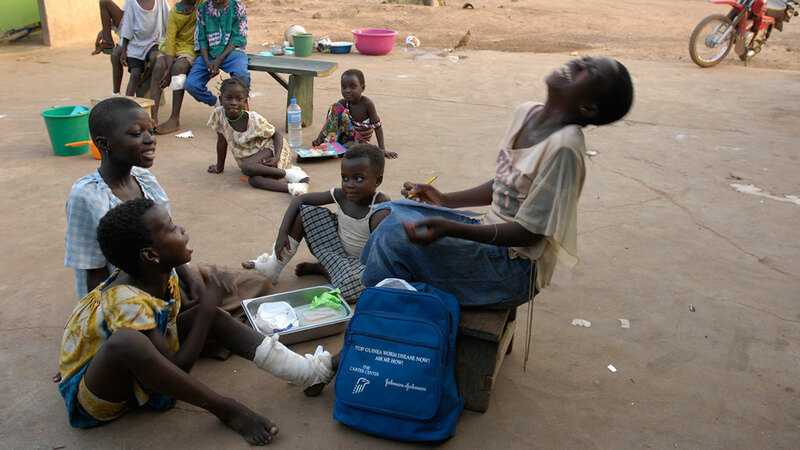 Sadia Mesuna, 6, from Northern Ghana, personifies the tragedy of children suffering excruciating pain from Guinea worm disease, in Savelugu town's current disastrous outbreak. Sadia and 20 other children are patients at the case containment care center in Savelugu town, where they have access to safe, clean water. Each morning at the containment center, a volunteer gives Sadia a bath. Then, on her bed in the girls' dormitory, Sadia preens herself for the day. 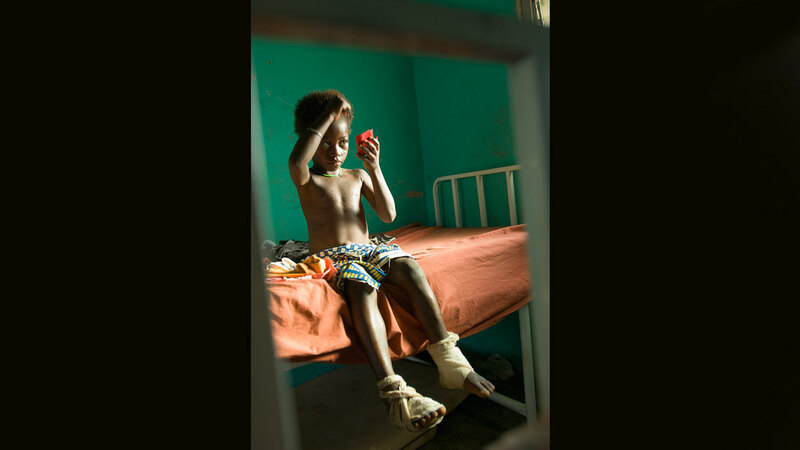 Within the hour, however, Sadia has to undergo treatment for the searingly painful Guinea worms emerging from her feet. 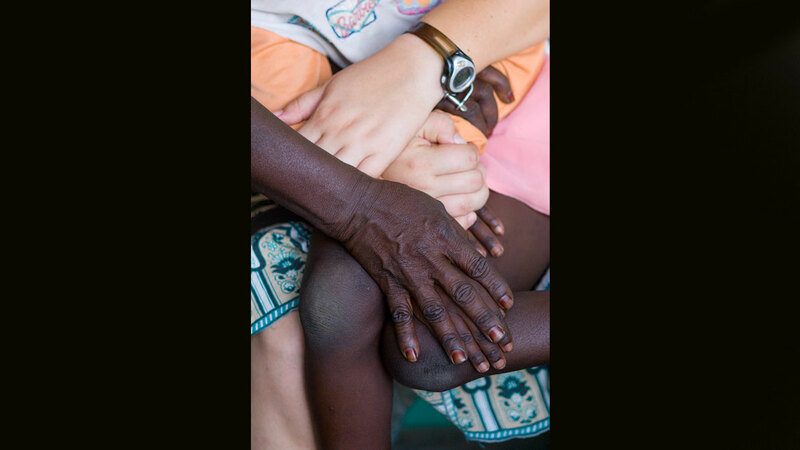 Canadian volunteer Jill Morse tries her best to soothe the traumatized child. 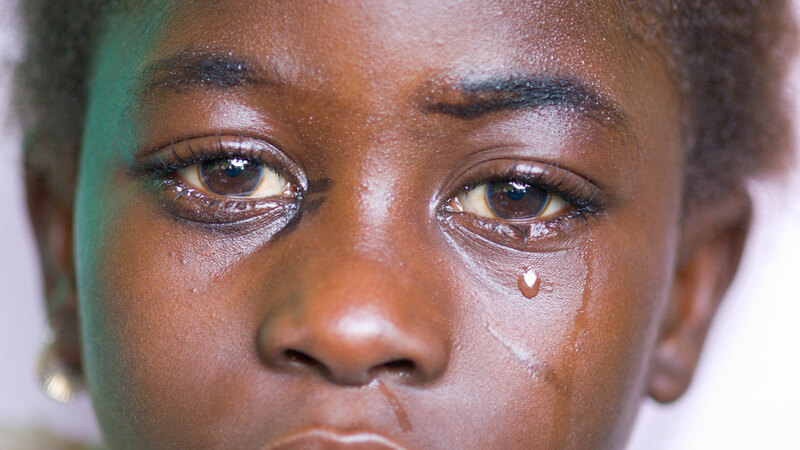 A cry for help, but nothing can ease the pain of the Guinea Worm emerging, burning like red hot coals on the skin. 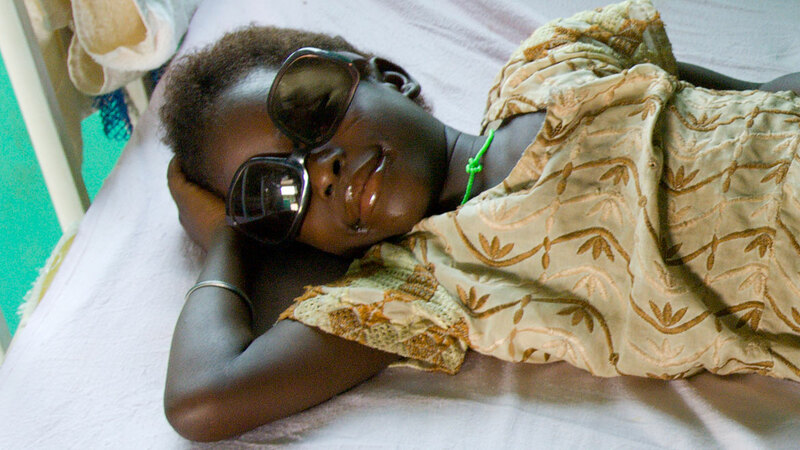 Recovering in a quiet corner, Sadia also rediscovers her humor as she dons a volunteer's dark glasses - worn upside down. The cause of all the pain. 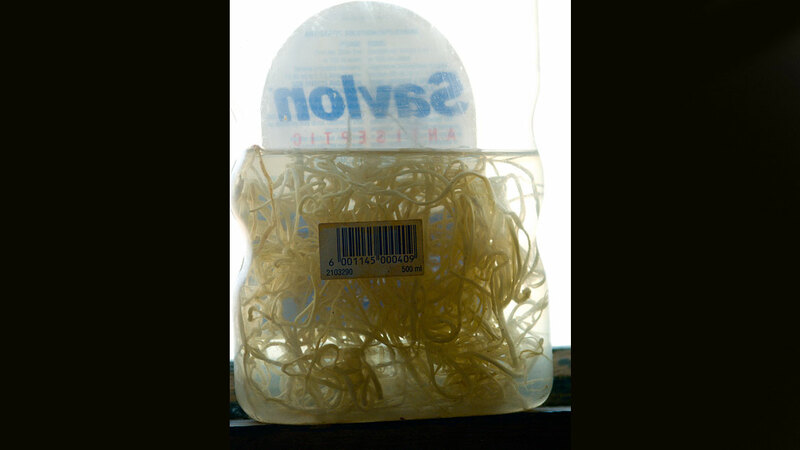 A jar of intact Guinea worms, painstakingly extracted whole from patients' bodies, at the Savelugu containment center. With other little patients at the Center, Sadia learns from Lamisi Mbillah, Miss World's Beauty With a Purpose, how not to drink unfiltered water, to avoid contracting Guinea worm disease. The former Miss Ghana is a spokesperson for the program in Ghana. 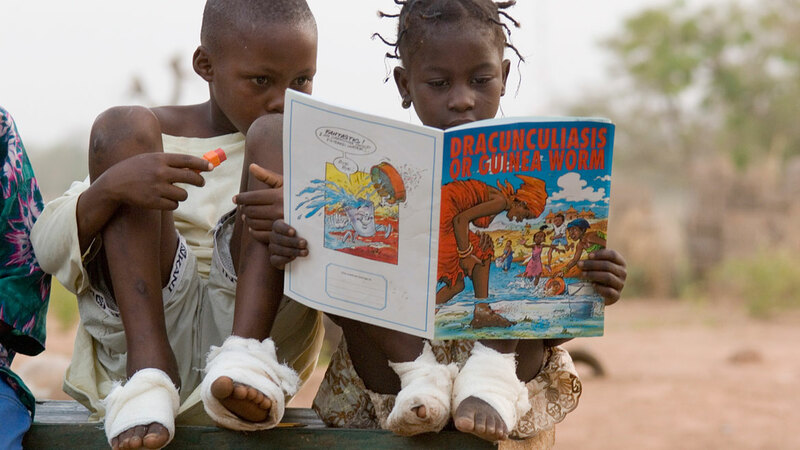 Sadia and her friend, Fatawu Yakubu, look at a children's book on Guinea worm disease. 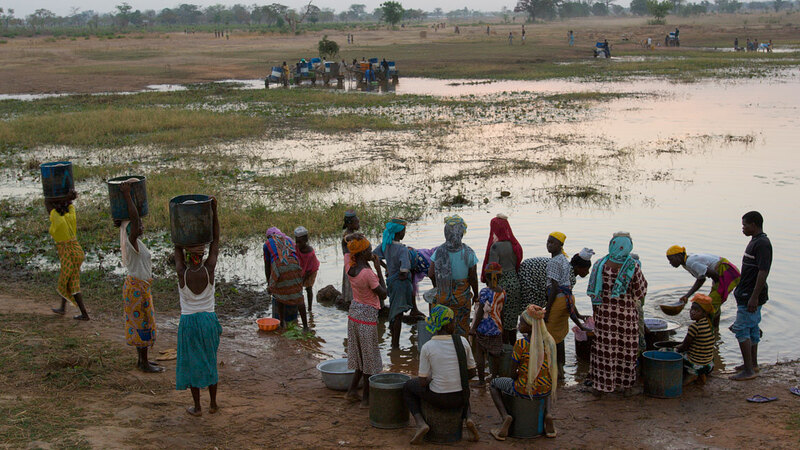 The cover shows a woman immersing her foot, with a Guinea worm emerging from it, in the communal water source to get relief from her burning pain. As infective larvae shoot from the worm, a little girl runs to stop her. 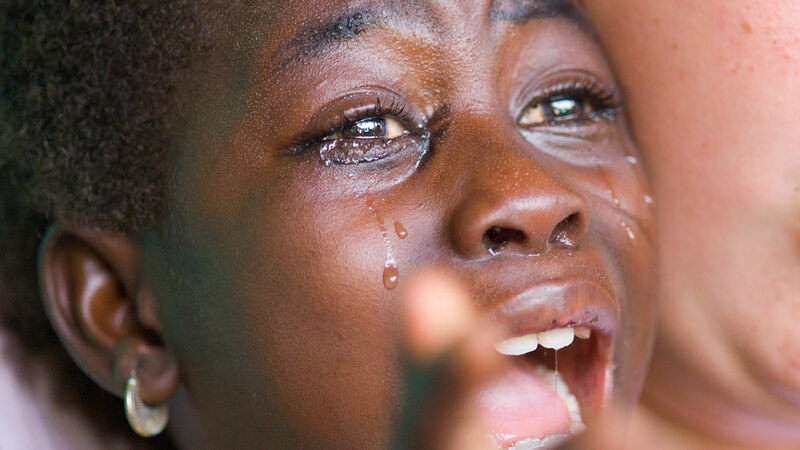 The next morning, and for days to come, Sadia must again undergo the painful treatment. 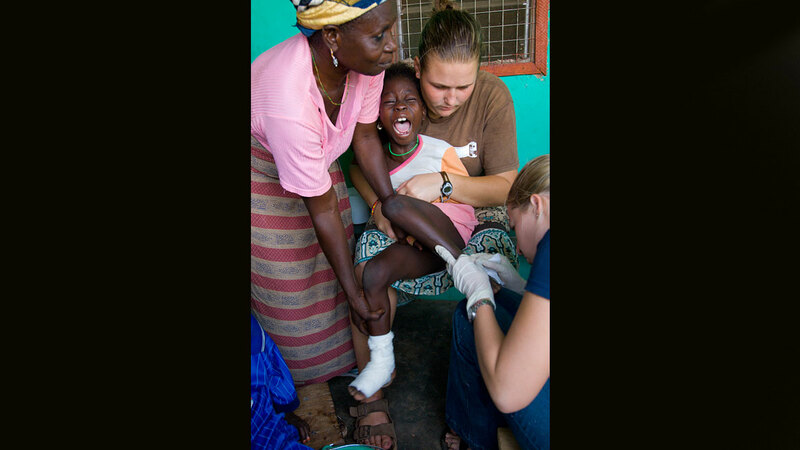 Volunteers hold down her arms to stop her grabbing in pain at the emerging Guinea worm and causing it to break. Broken or cut worms can cause seriously infected sores. ...Sadia must suffer the agony of her Guinea worms being coaxed further out of her feet. Afternoons at the containment center are a time to play and to forget the trauma of the morning treatments. Here the resident children play a version of "Doctor, Doctor," mimicking the staff. A "volunteer" (right) delights in the "patient's" (left) response to her data collection question. 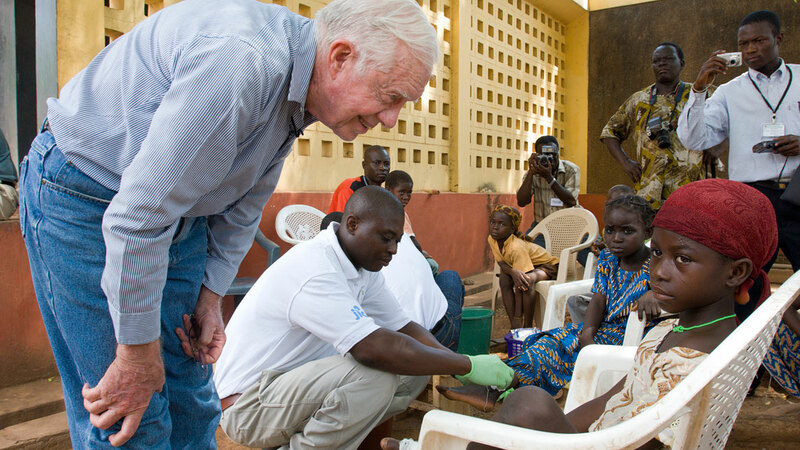 During his health tour of four African countries in February 2007, former U.S. President Jimmy Carter greets Sadia and other Guinea worm patients at the Savelugu Hospital. 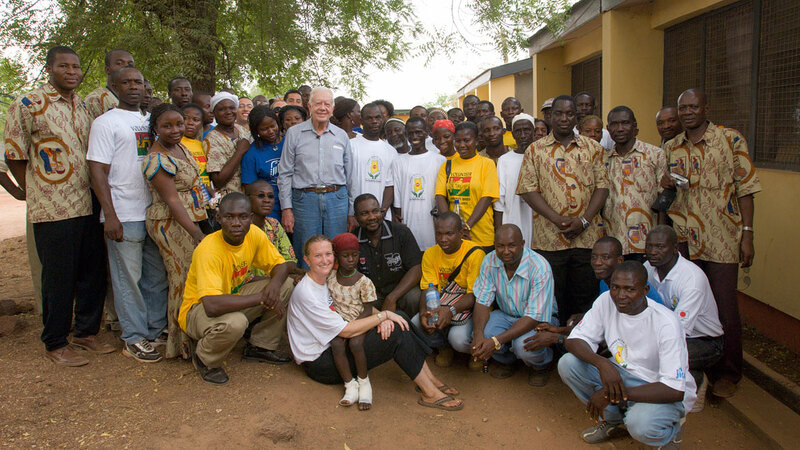 In the group photo with President Carter, popular Sadia is chosen as the program's "Most Valuable Player," taking central spot on the lap of Carter Center consultant Corey Farrell, who heads the Savelugu Containment Center operations with the assistance of a dedicated team.